Gun metal clasp is durable for directing your pet. Good quality nylon is designed for long lasting use. All of our materials are eco-friendly and non-toxic. Our leash uses a waist belt that connects to your leash. Instead of using your arm you to absorb uncomfortable tension. Swivel hook offers increased independence for pets to roam around. -Mavric, a professional pet products manufacturer, offers dog collars and leashes. 1 year warranty is offered by us. If you have any question about pets or products, please feel free to contact with us. 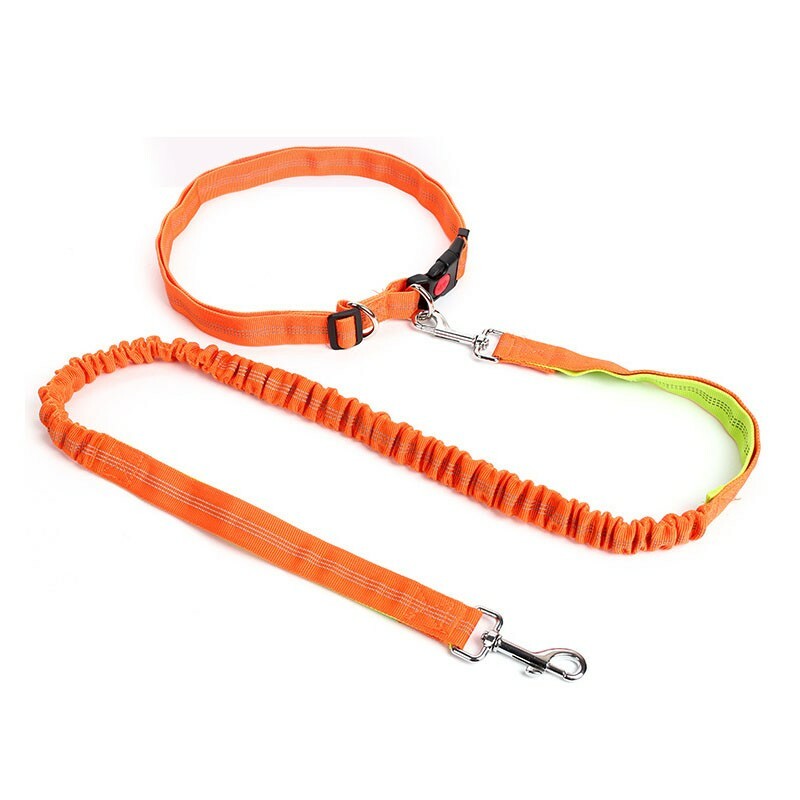 We think after using a dog leash for running that frees up your hands so you can enjoy more freedom in running. You don't need to handle the tension via hands, which will always caused hand strain and leash burns in hand. Now, you can make running more comfortable after using running leash. There are many benefits- like learning to run in step with your dog and prevent your furry friend from pulling, which will injure you a lot. Additionally, if you travel a lot, you can attach the leash onto your belt, and you can have 2 hands free to do other stuffs like checking out or looking a map. Copyright © 2018 Mavric Pet Supplies. All Rights Reserved.